I love fuss free, easy to use products, especially when it comes to makeup. It's usually because I'm in a rush to get ready in the mornings and sometimes it's because I'm being lazy! I'm having a moment with brows right now and wanted something quicker to use than powder or pens. So I ended up buying not one, but two tinted brow gels from Boots; the Maybelline Brow Drama Sculpting Mascara in Dark Blond and the Rimmel Brow This Way Styling Gel in Blonde. But which is better? Let the battle commence! Although packaging isn't everything, it is the first impression you get of a product. 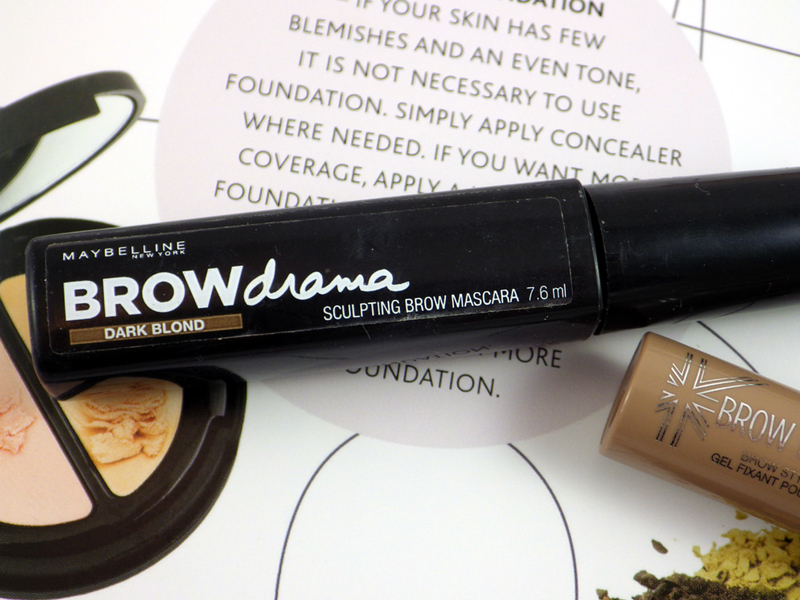 Maybelline Brow Drama has chunky, black, square packaging with a sticker label; simple and functional. 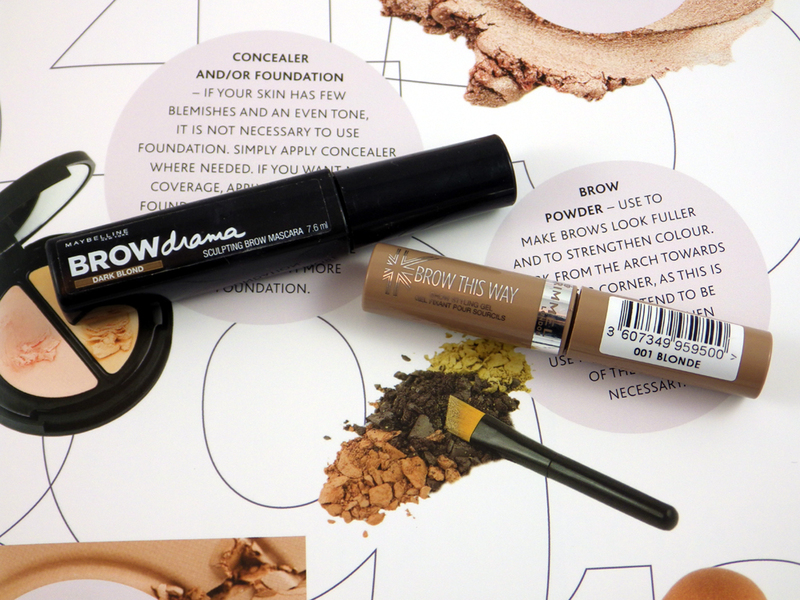 Rimmel Brow This Way is circular and so it is sleeker and more compact. The colour of the tube represents the colour of the tint and the details of the product are directly printed on the tube, which gives it a more high end feel. Maybelline's wand is quite large, which is shaped like a sphere at the end, meaning the bristles are separated and fanned out. The size of the sphere on Maybelline's wand fits the shape of my brows nicely and the design means there isn't too much product distributed - though sometimes not enough. Rimmel's has a standard, mascara-shaped comb that narrows slightly at the end, which isn't the best shape for eyebrows. I only tend to use the tip end, as closer to the wand the brush is just too wide. The bristles are packed together and placed in rows with gaps in between, which does mean that the gel builds up in the gaps. If you don't wipe a lot of it away you end up overcoating your brows and the skin around them!! I have some sparseness where my brows start, so with both products I like to apply a small dot of gel from the end of the wand and work it through. There is a big difference between the formulas of these two, which you can probably tell from the swatches. 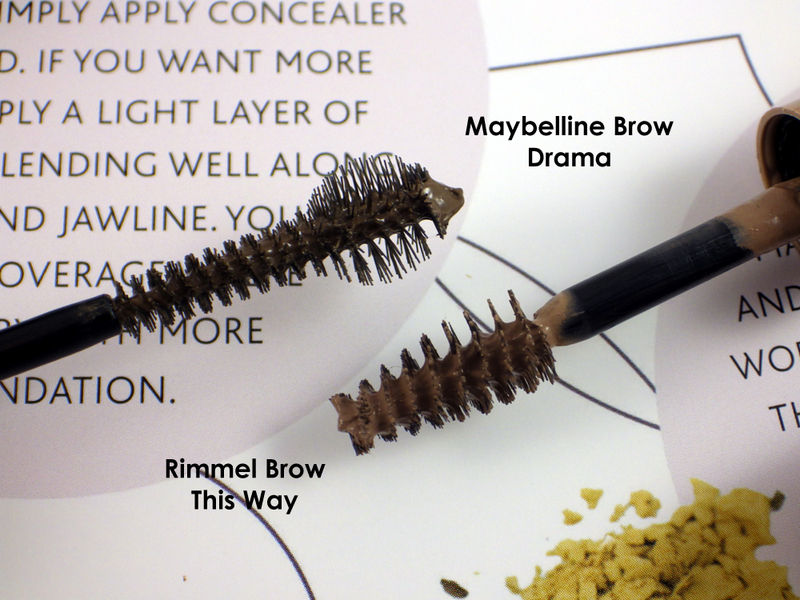 Maybelline Brow Drama has a very thin consistency, which means it dries quickly and the colour can apply unevenly. 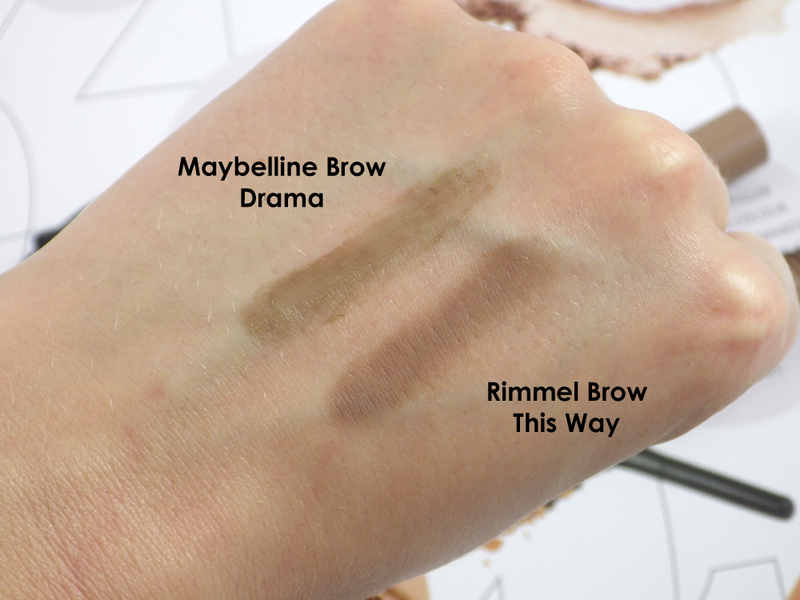 In comparison, Rimmel Brow This Way isn't so much of a gel; it's thicker and creamier, which means it gives more colour and definition and is easier to work with. However, when applied right, both give a natural finish - brows look neat, defined and polished and impressively, the colour lasts a good 7 hours. I would say the Rimmel one lasts a tad longer. Apply too much of either though and they will make brows look crispy and dry. As mentioned before, I have the Maybelline Brow Drama in Dark Blond and Rimmel Brow This Way in Blonde. The Maybelline shade definitely leans towards a dark blonde/light brown and the Rimmel shade is much warmer. I think Rimmel's would work better for light to mid blonde shades and Maybelline's for darker blonde shades, possibly even very light browns. Neither are exactly perfect for me, but if I had to choose I would pick Dark Blond by Maybelline. To buy Maybelline's offering costs £4.99 for 7.6ml and to buy Rimmel's costs £3.99 for 5ml, so you are getting more product for your money with Maybelline. So overall the winner is... Maybelline Brow Drama in Dark Blond! It isn't the perfect brow gel but it does win over Rimmel in terms of the application, the shade and the value for money. 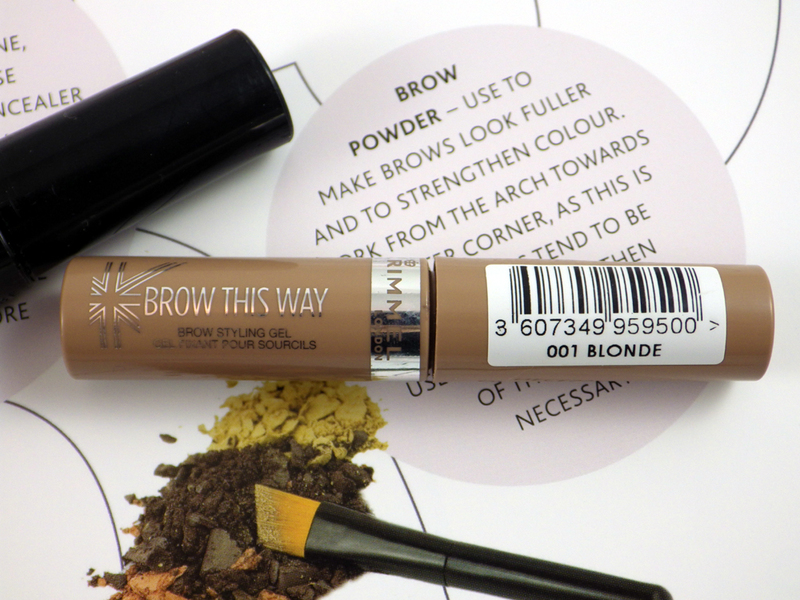 Rimmel Brow This Way in Blonde can be too much of a hassle to apply and get the right finish; the wand really lets it down. Which budget brow gel is your favourite? Are there any others you'd recommend I try? When I saw the pictures, I figured Maybelline would be better because the wand is so much smaller! Looks like it could be a good dupe for Gimme Brow. It's a shame it can apply unevenly though! I'd like to try the Maybelline one! Great comparison :) I don't use a brow gel at the moment but think I should, my brows get a bit unruly throughout the day! thanks for the thorough review. i will need to give gel mascaras a try. never tried one before. I really didn't like the Maybelline one, it was just the same as clear mascara, no colour! But fab post.